In this short series of articles I’m going to break down the basics of fins specifically longboard fins. Starting off the series with a quick rundown of the differences between pivot fins and fins with more rake. A pivot fin is going to have a straighter, more vertical, up-and-down overall outline. They are generally wider fins and carry more overall mass and volume. Pivots are generally regarded as the “best” style fin for a traditional single-fin log. Turns using a pivot are sharper with a tighter turning radius, utilizing the fin to pivot off of, ultimately using less rail. This also produces a quicker response time between the surfer and desired attempted turn. A fin with more rake in its’ outline will usually have a broader base leading up to a narrower tip, and will often be lighter, more flexible, and carry overall less volume than most pivot fins. The rake in the tip of the fin allows the fin to load up energy at the beginning of a turn, then flex and release the energy, often midway through the turn. This allows the surfer to utilize the rain of the surfboard more-so than a pivot fin would allow. This, in turn, also allows for wider, more arcing type turns. These fins are still good nose-riding fins, but don’t have as much hold as a pivot, generally speaking. Hybrids are exactly that, a mix of both pivots and their curvier brethren. A lot of guys favor this style of fin nowadays because of the versatility, a good hybrid fin offers. 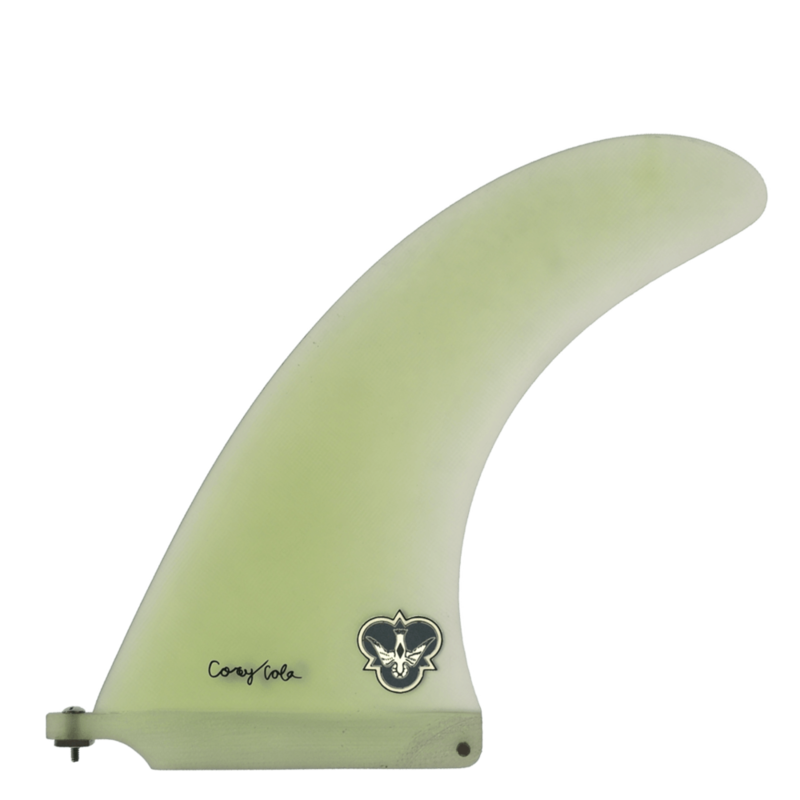 They are a good all-around longboard fin that gives you a little bit of the best of both. Ultimately, it all boils down to personal preference and how you like to surf, and what board the fin is going into, and the conditions that the board will be ridden in.